Little Derby is a cheddar-style cheese washed in red wine. 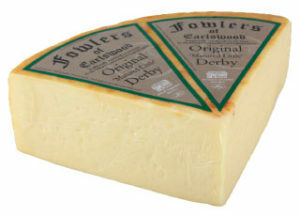 It has a strong flavour, though quite different from the dry bite of a traditional mature cheddar – more a kind of pungent taste. A far cry from the mild and mellow Sage Derby from the same producer.